DJI’s newest member of the Ronin family, the beefed up Ronin 2, features a touchscreen controller and the ability to handle almost double the payload of the original Ronin model. 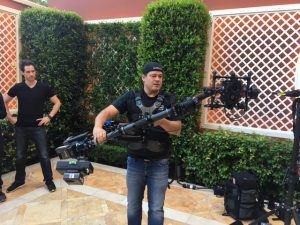 As with the original Ronin, the Ronin 2 was designed for handheld applications but has been given some extra capabilities. Now capable of aerial, car mounting, cablecam and Steadicam, the Ronin 2’s higher torque motors allows for larger payloads (up to 30 lbs / 13.6 kgs) and it’s new GPS algorithms let it perform smoothly in high-stress environments. DJI has also eliminated the need for a separate stand by adding retractable feet to the detachable grip allowing it to stand upright on any flat surface. 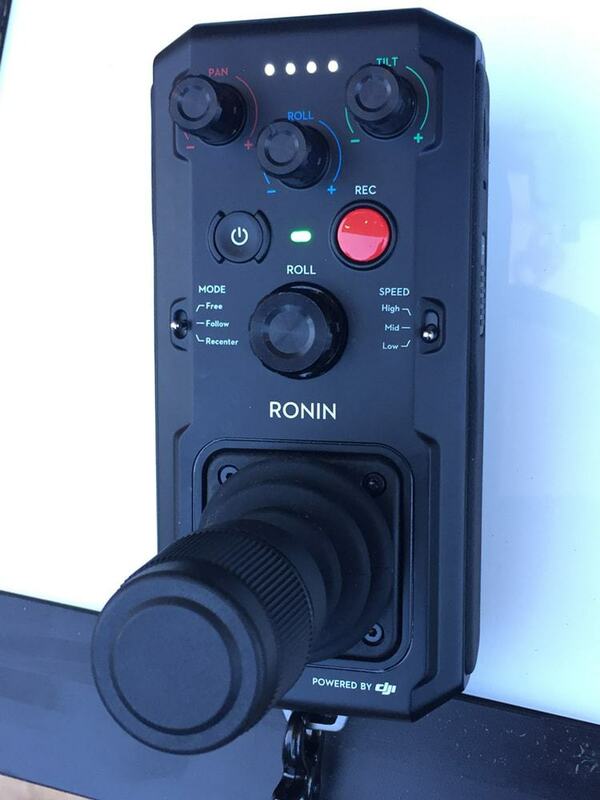 The Ronin 2 also features a redesigned remote featuring an integrated touchscreen controller, dual band 2.4/5.8 GHz frequencies allowing for two-person operation with an unobstructed range of over a kilometer. The remote also allows users to change the control speeds of the joystick directly by tweaking the knobs with no need to change any settings in the new gimbal assistant app or directly on the Ronin 2. The new gimbal assistant app gives operators control over, SmoothTrack settings, motor stiffness, and gimbal operation modes and includes some new studio oriented intelligent features such as Panorama, Timelapse and direct control of supported cameras. 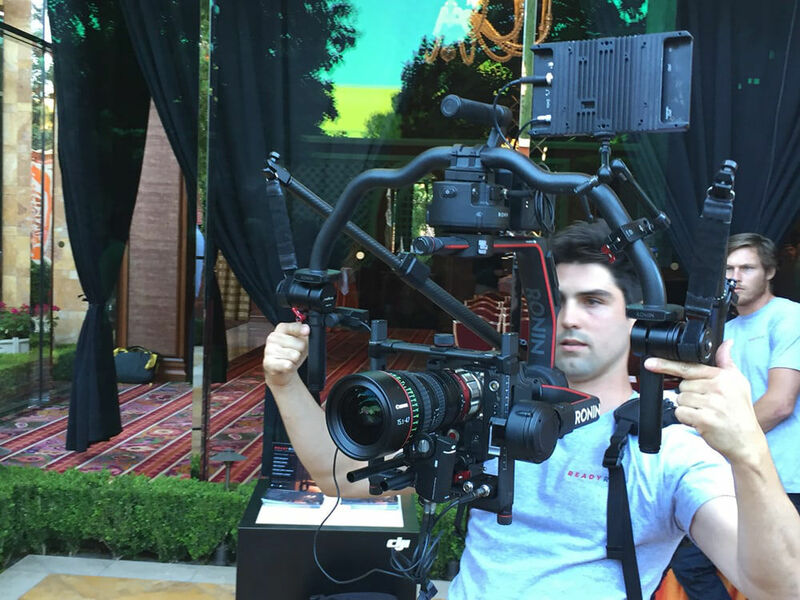 DJI says that as of now, the largest camera and lens combo they have tested with the Ronin 2 is the Arri Alexa Mini with a Canon CINE-Servo 17-120mm lens. Operators will also be able to control settings such as ISO, frame rate, resolution and start/stop on selected cameras via the new camera control module. All three previous modes (upright, underslung and briefcase) of operation are available, but now, operators can transition between upright and underslung modes without having to change the orientation of the camera. You can also lock the yaw motor for 2-axis mode for use with a steadicam.